Best Jazz Album 2014 in LA Times for 'Sonic Halo'. 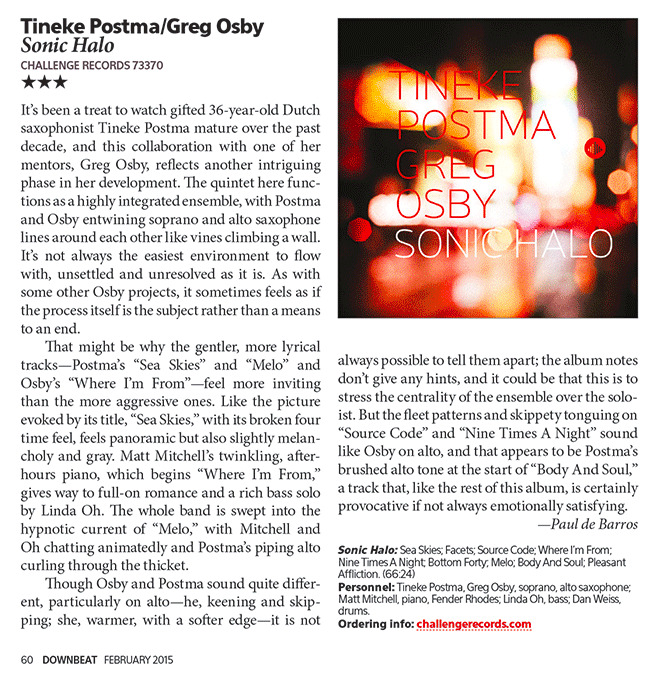 Sonic Halo, the CD project by Tineke Postma and Greg Osby has received many inspiring an positive reviews. I have been responsable for the creative production and sound design for this CD.